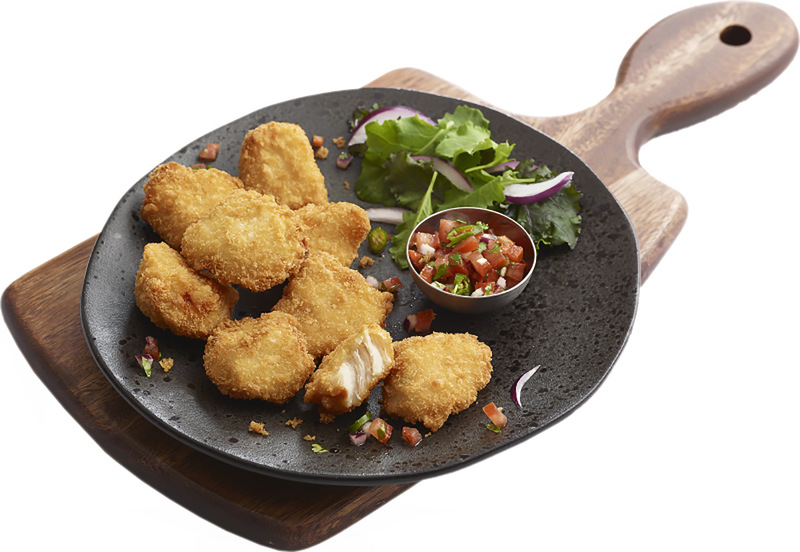 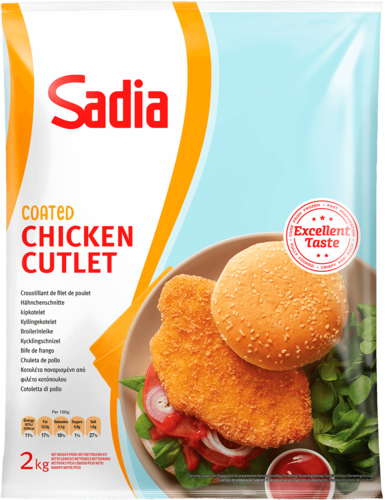 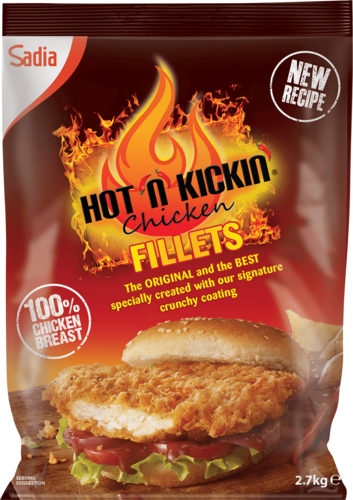 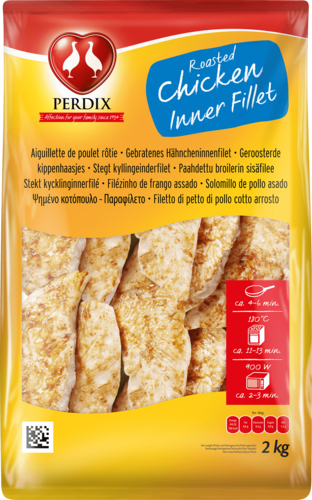 Fully cooked marinated chicken breast chunks with added water, coated in crispy breadcrumbs, deep frozen. 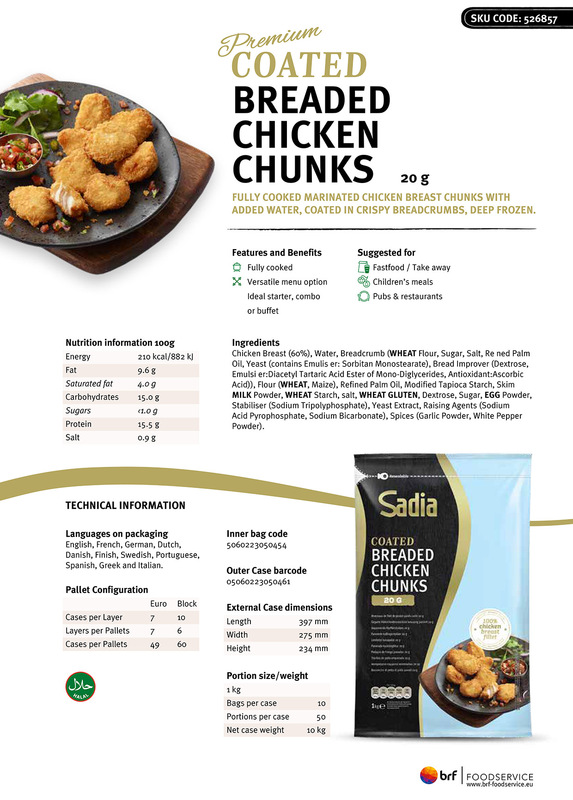 Ingredients: Chicken Breast (60%), Water, Breadcrumb (WHEAT Flour, Sugar, Salt, Re ned Palm Oil, Yeast (contains Emulis er: Sorbitan Monostearate), Bread Improver (Dextrose, Emulsi er:Diacetyl Tartaric Acid Ester of Mono-Diglycerides, Antioxidant:Ascorbic Acid)), Flour (WHEAT, Maize), Refined Palm Oil, Modified Tapioca Starch, Skim MILK Powder, WHEAT Starch, salt, WHEAT GLUTEN, Dextrose, Sugar, EGG Powder, Stabiliser (Sodium Tripolyphosphate), Yeast Extract, Raising Agents (Sodium Acid Pyrophosphate, Sodium Bicarbonate), Spices (Garlic Powder, White Pepper Powder) May contain traces of peanuts. 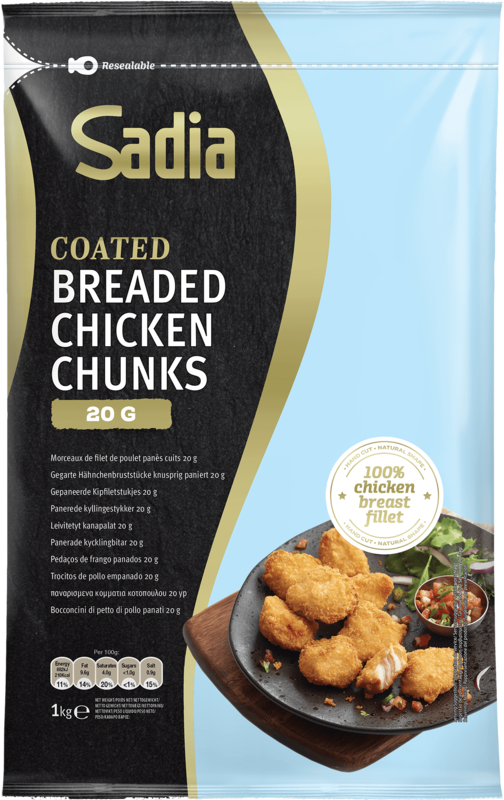 Allergy advice: for allergens, including cereals containing gluten, see ingredients in BOLD.